The largest community energy battery in Europe has been installed at igloo’s Trent Basin project in Nottingham. 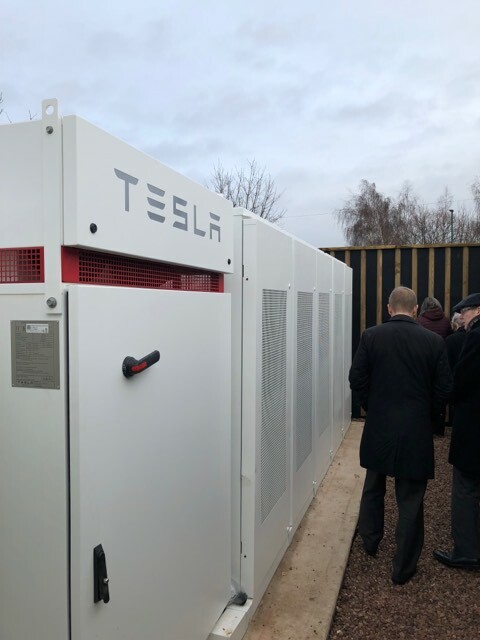 The 2.1 MW battery from TESLA has the capacity to deliver 500kW of power and its inclusion at the pioneering development represents a significant leap forward in the use of renewable energy in housing projects across the UK. The project is the only one of its kind in the UK and has been highlighted in the recent UK100 report and the UK Smart Cities Index. The UK’s innovation agency Innovate UK is the primary funder of the project. It is also supported by Blueprint, the University of Nottingham, Energy Research Accelerator (ERA), AT Kearney and Smartklub. Nick Ebbs, Vice Chair of igloo and Chief Executive of Blueprint, was recently interviewed about the battery installation by the BBC. Click here to view the footage.